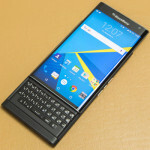 You are here: Home › General BlackBerry Device FAQ's › How do I determine if my BlackBerry is “unlocked”? 1. On your BlackBerry, go to Options > Advanced Options > Sim Card. 2. At that screen type MEPD (see note below) on your keyboard. A new menu will pop up. If your BlackBerry has a SureType keyboard (71xx and 81xx devices) you will need to double-tap the P, so the actual keys entered become M E P P D.
3. Look for Network in the list. 4. 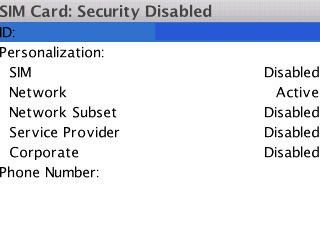 If your device is “unlocked”, it should say Disabled or Inactive. If it says Active, it’s still locked to that carrier.